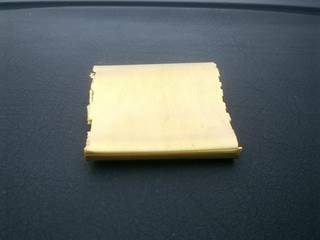 The refined gold sheet is often a sub-product of gold refineries. Some of gold refineries are simply exchanging the scrap gold or old gold for such refined gold sheets. Then they may be using such mis-calculations to accommodate their maximum profits. 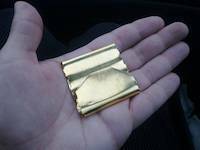 Never trust the gold refinery if you have not carefully verified their procedures. After refining, one may decide to make sub-products such as gold sheets or gold wires or gold chains for jewelry or similar. 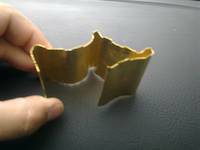 This example is the gold sheet. This is beautiful refined gold sheet on my hand.